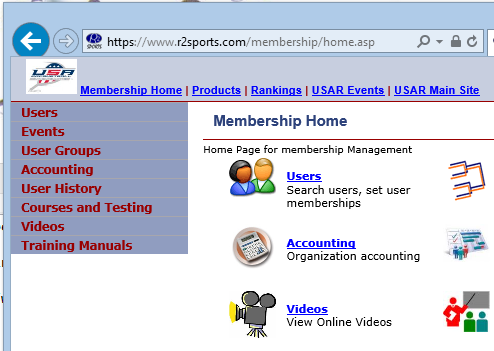 1) Log into your USAR account on R2 sports. 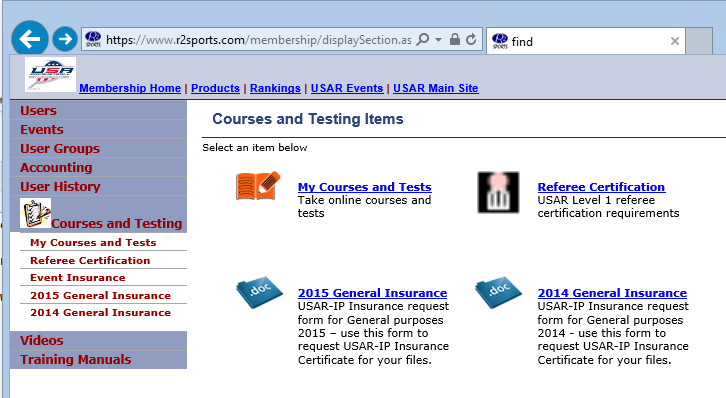 2) Click on Courses and Testing. 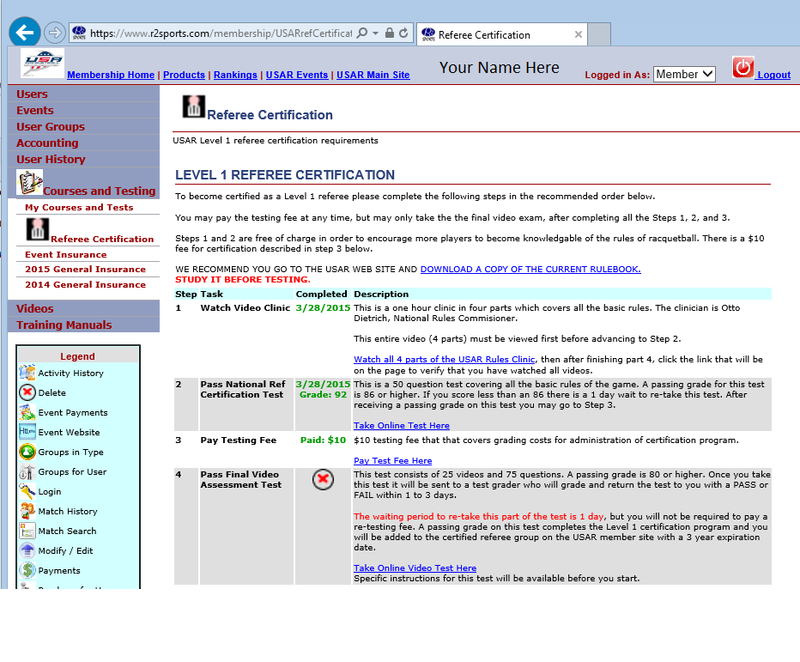 3) Click on Referee Certification. 4) Watch the video clinic. 4 videos, about 15 minutes each. Improving your tournament experience starts with just this simple step. 5) Pass the written test. Results provided immediately. This will ensure that you know the basic rules that you may not be playing with in your local club games. 6) Pay the testing fee, $10. 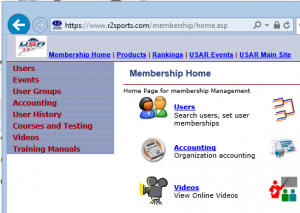 You can do it right there on the site, just be sure you start back at this page. If you try to do it from the video viewing page or from the written test finish, it doesn’t take you to the area you need to be. 7) Take the video based test. Once you start, you have 240 minutes / 4 hours to complete it. You can’t rewind the videos, so it shouldn’t take that long unless you take a break to do something else. 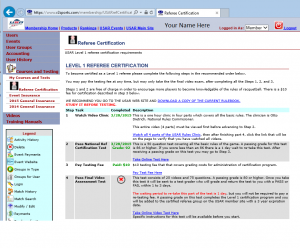 (If you use Firefox or Chrome, you can rewind the videos before going on to the next page. On Internet Explorer and Edge, the controls are hidden.) Be sure you are using speakers or headphones, the sound is critical for some of the questions. If you don’t see anything wrong with the game situation displayed, play it again and turn the sound up! 8) Get your test results back in 1-5 days. Play on or review the video clinic and test again, as you need to.